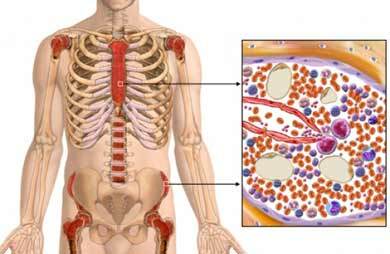 Myelodysplastic syndromes (MDS) are a group of diseases that involve dysfunction of the bone marrow. Bone marrow is the tissue found within the bones. Its task is to create mature blood cells from stem cells. In all forms of MDS, this normal cell-creation process is disrupted by the overproduction of clones of a single stem cell. This leads to a decrease in production of normal red blood cells, white blood cells, and platelets. The World Health Organization has classified MDS into 8 categories. Some forms are more serious than others, but all of them are serious enough to require a doctor’s care. Thirty percent of people with MDS develop acute myeloid leukemia (AML). Leukemia is a cancer of the white blood cells and their parent cells. As more is learned about MDS, experts began to see it as a form of cancer. 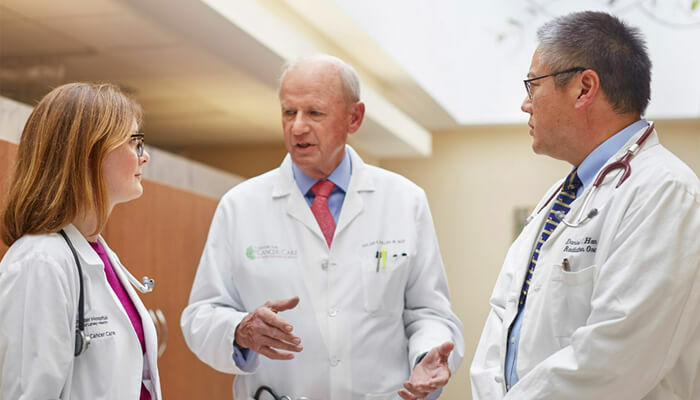 The cause of myelodysplastic syndrome (MDS) is unknown, but research shows that certain risk factors are associated with the disease. Other symptoms may include loss of appetite, weight loss, and extreme fatigue. Your doctor will ask about your symptoms and medical history. A physical exam will be done. The symptoms for MDS can indicate many other conditions. Doctors have to rule out other conditions before diagnosing MDS. Blood test to check your red and white blood cell counts and platelet counts and to check how the blood cells look. Bone marrow biopsy to check for MDS. A bone marrow biopsy is the removal of a sample of bone marrow for testing. Your doctor may also order other tests to rule out other conditions. 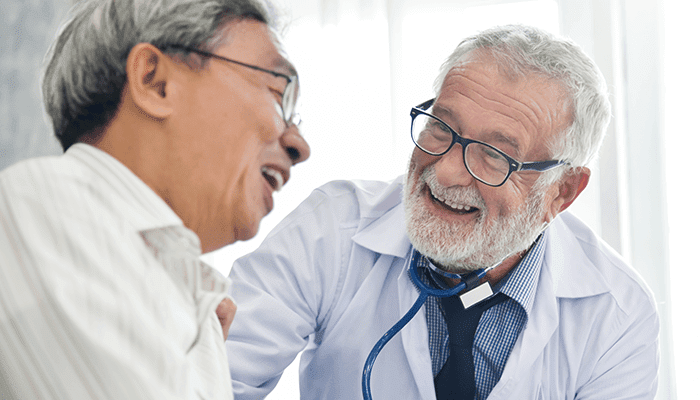 Treatment for MDS depends on your age, other medical conditions, and how serious the disease is. Treatment also depends on how far along the disease has progressed to AML. Often, treatment includes relieving the symptoms of MDS. Talk with your doctor about the best treatment plan for you. You may be referred to a hematologist and an oncologist. If you have a low red blood cell, white blood cell, or platelet count, you may receive a blood transfusion . A blood transfusion is a treatment that involves receiving blood products (red cells, white cells, platelets, clotting factors, plasma, or whole blood) through a vein. The blood components may come from an unrelated donor, from a related donor, or may have been banked in advance by the recipient. If you have a low white blood cell count, you may receive antibiotics to fight infection. Erythropoietin (EPO) is a growth factor that helps the bone marrow produce red blood cells. Granulocyte colony-stimulating factors (G-CSF) and granulocyte macrophage colony-stimulating factors (GM-CSF) are growth factors that help the bone marrow produce white blood cells. Pegfilgrastim is a form of G-CSF that is longer-acting. Oprelvekin is a drug that helps the body produce platelets. Chemotherapy is the use of drugs to kill cancer cells. Chemotherapy may be given in many forms including: pill, injection, or through an IV. The drugs enter the bloodstream and travel through the body killing mostly cancer cells, but also some healthy cells. The only cure for MDS is a stem cell transplant (SCT). An SCT starts with high-dose chemotherapy to kill the bone marrow, and is then followed by an injection of healthy stem cells. The stem cells used can come from the blood or bone marrow. There are 2 types of SCT. The less common one is called an autologous SCT, and occurs when the patient is injected with her own cells after high-dose chemotherapy. The more common method is called allogeneic and occurs when a patient gets donor cells after high-dose chemotherapy. Many doctors will only perform an SCT on a people aged 50 years and younger. Avoid exposure to hazardous chemicals such as benzene. Avoid smoking. If you do smoke, talk to your doctor about ways to quit . Eat a balanced, healthful diet. Avoid environmental and occupational risks. Frequently asked questions about MDS. The Myelodysplastic Syndromes Foundation website. Available at: https://www.mds-foundation.org/pdf/CEL411%20Factsht%20v8.pdf. Accessed January 8, 2018. General information about myelodysplastic syndromes. National Cancer Institute website. Available at: https://www.cancer.gov/types/myeloproliferative/patient/myelodysplastic-treatment-pdq. Updated August 12, 2015. Accessed January 8, 2018. Myelodysplastic syndrome. Merck Manual Professional Version website. Available at: http://www.merckmanuals.com/professional/hematology-and-oncology/leukemias/myelodysplastic-syndrome. Updated January 2017. Accessed January 8, 2018. Myelodysplastic syndrome (MDS). EBSCO DynaMed Plus website. Available at: https://www.dynamed.com/topics/dmp~AN~T114054/Myelodysplastic-syndrome-MDS . Updated January 13, 2017. Accessed January 8, 2018. Myelodysplastic syndromes. American Cancer Society website. Available at: https://www.cancer.org/cancer/myelodysplastic-syndrome.html. Accessed January 8, 2018.